Theysohn’s hiring marks a doubling down of HSS’ commitment to Career and Technical Education. 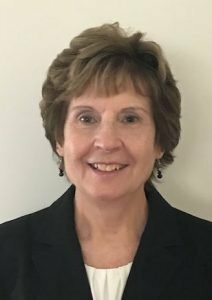 Bethel Park, Pa. – Harris School Solutions (HSS), the premier provider of technology solutions for K-12 districts, charter schools, and continuing education programs across North America, announced today the addition of experienced Career and Technical Education (CTE) Administrator Deborah Theysohn to its team. Theysohn, who spent over 25 years working in the CTE space as a CTE instructor, program director, and principal, becomes HSS’ CTE Account Specialist. Her arrival at the company marks a deepening of HSS’ commitment to addressing the unique needs of the Career and Technical Education community through the company’s ClassMate CTE software. That Theysohn chose HSS is far from a coincidence. In addition to the many roles she performed over the course of her tenure with Sullivan County BOCES in New York, she also served as the education leader for the program’s ClassMate implementation, designing policies and procedures for how her staff used the software in their daily operations. For information about adding ClassMate to your program, click below. To learn more about the ClassMate software, visit the ClassMate overview page.